Book Review: Why is She Acting So Weird? Cancer is complex: it affects every aspect of a patient’s life -- including friendships. As I write this, I recall those friendships that strengthened with my breast cancer diagnosis. And, sadly, I recall those friendships that simply withered away. People react to their friends’ cancer diagnoses in many ways for many reasons. Those who choose to continue … Continue reading the story "Book Review: Why is She Acting So Weird?" Truth. That’s what you will find in Nancy Stordahl’s memoir Cancer Was Not a Gift & It Didn’t Make Me a Better Person: A Memoir About Cancer as I Know It. The book’s title is telling: Stordahl exposes the ugliness that breast cancer really is. In a culture of pinkwashing and stories about how breast … Continue reading the story "Cancer Was Not a Gift & It Didn’t Make Me a Better Person: A Review"
Like so many in the world, I am grieving the loss of Maya Angelou, an articulate, brilliant individual who left a huge mark on the world. A literary genius whose writing captivated many generations, Angelou was also a Civil Rights activist. I have always felt close to Angelou and wanted to meet her. While that never happened in person, I did meet her -- … Continue reading the story "A Truly Phenomenal Woman and Book Review"
If you’re seeking a wonderful book to read, look no further than The World’s Strongest Librarian: A Memoir of Tourette’s, Faith, Strength, and the Power of Family by Josh Hanagarne. I enjoyed this beautifully written book so much, I simply couldn’t put it down. Hanagarne, a librarian at the Salt Lake City Public Library, candidly shares the … Continue reading the story "Book Review: The World’s Strongest Librarian"
I've just been on a magnificent adventure. And I didn’t even have to leave home. I traveled through Pasha Hogan’s inspirational journey in her beautifully written memoir Third Time Lucky: A Creative Recovery. This book covers the author's experience with being diagnosed with breast cancer three times by the time she was 31. Pasha captures … Continue reading the story "Book Review: Third Time Lucky: A Creative Recovery"
Before undergoing chemotherapy, I was understandably terrified. The nurse gave me some written materials on chemotherapy in advance of the first treatment. But these readings only provided facts; they didn’t prepare me emotionally for what was to come, nor did they address my fears or calm me down. This is the case for many, … Continue reading the story "Book Review: Getting Past the Fear"
I want to kick off Breast Cancer Awareness Month by profiling a must-read book. 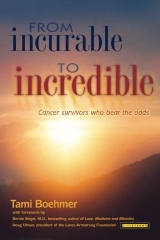 Author Tami Boehmer is a courageous breast cancer survivor who offers hope, emotional healing, and inspiration in her book From Incurable to Incredible: Cancer Survivors Who Beat the … Continue reading the story "Book Review: From Incurable to Incredible"
For those breast cancer patients finishing treatment or who have finished treatment, I highly recommend After Breast Cancer: A Common-Sense Guide to Life After Treatment by Hester Hill Schnipper. This book is filled with excellent information on what to expect after breast cancer treatment. … Continue reading the story "Book Review: After Breast Cancer"
I am pleased that my first book review is on a publication by patient advocate Trisha Torrey. You Bet Your Life! 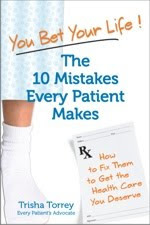 : The 10 Mistakes Every Patient Makes (How to Fix Them to Get the Health Care You Deserve) is an excellent … Continue reading the story "Book Review: You Bet Your Life! : The 10 Mistakes Every Patient Makes"